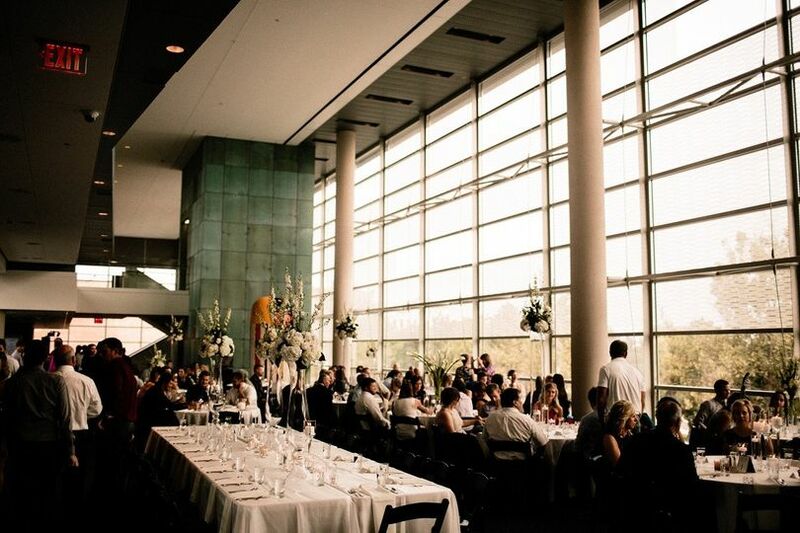 The Omaha Performing Arts, located in Omaha, Nebraska, offers a breathtaking venue space for couples looking to host a unique wedding event. This modern, city-style venue has quite a selection of rooms for you to choose from and make your own. 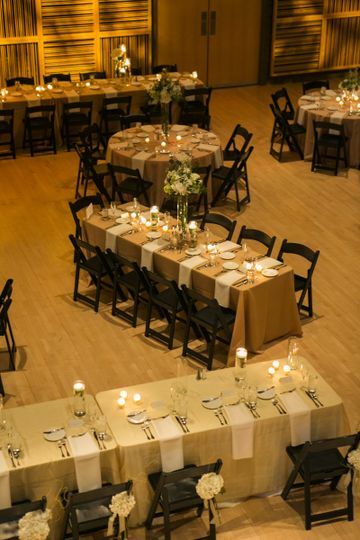 With a vintage ambiance and all the amenities you seek for your joyous day, the Omaha Performing Arts is sure to exceed your expectations. 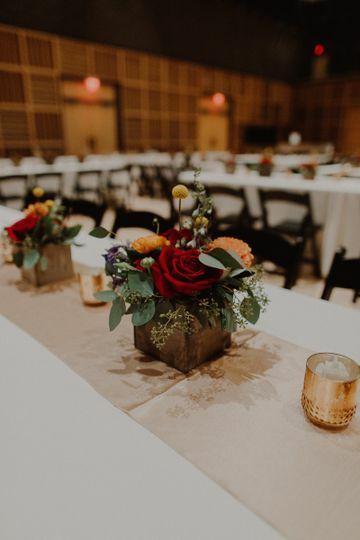 For grand events, couples can accommodate up to 300 guests in the Scott Recital Hall and up to 200 guests in the Conagra East Lobby. 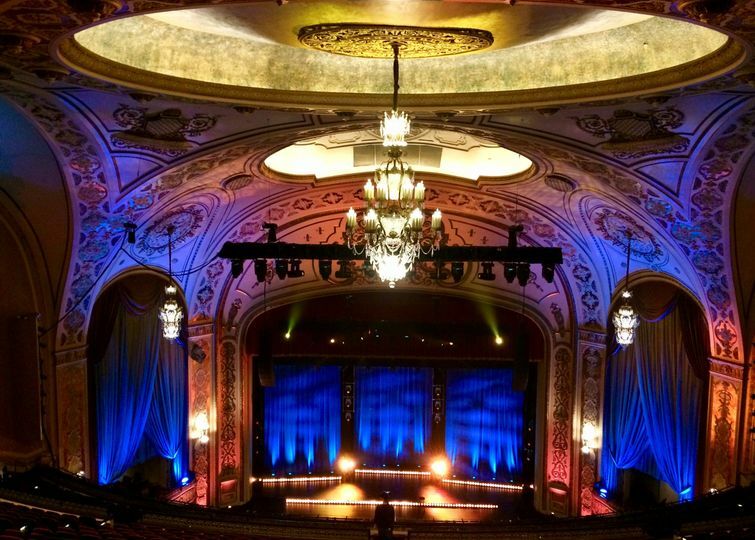 The Orpheum Theater, with its magnificent gold accents and dramatic chandelier, can also accommodate up to 230. Ovations is quite a modern space and hosts about 300 for appetizers and drinks. 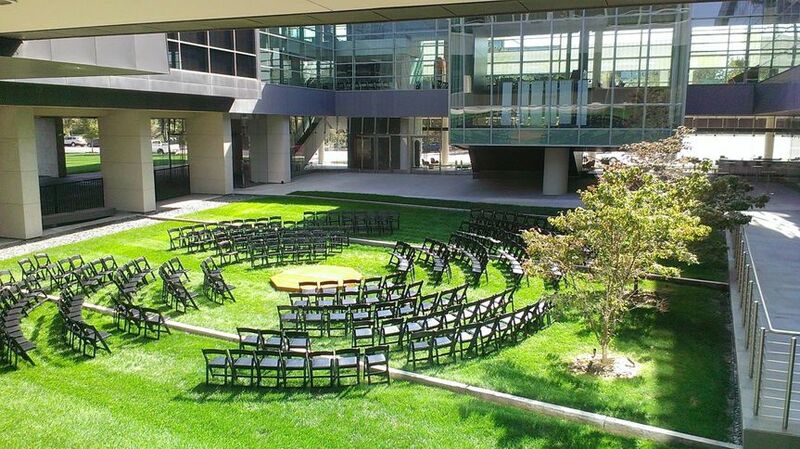 Step outside for your event to the Mammel Courtyard, where you can invite up to 400 people for a sit down ceremony or reception. 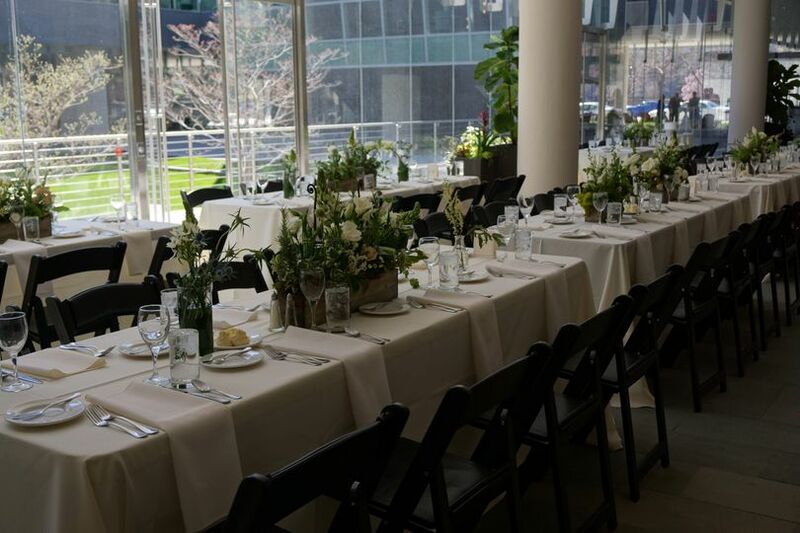 For a bit smaller party, you might choose the First National Bank Lobby, which has an entire wall of windows for beautiful views and plenty of natural light for a party of about 80 guests. 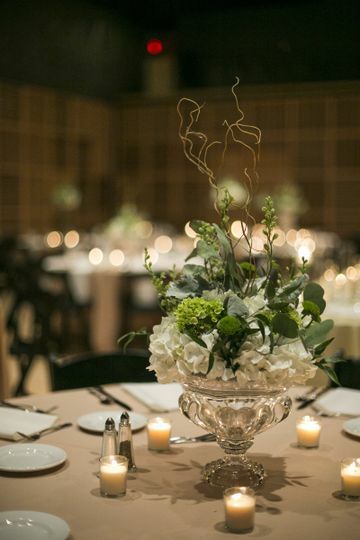 The Zinc restaurant can hold up to 70 guests and might be ideal for a rehearsal dinner. The Orpheum Theater has a rich history in the nation’s performing arts scene. Built in 1927, the theater was originally a vaudeville house for the city. It is an icon within the city of Omaha and has undergone extensive renovations to have its unique architecture brought back to life. The theater now is a host to a large number of events throughout the year. Beautiful and Versatile! WE LOVED IT! 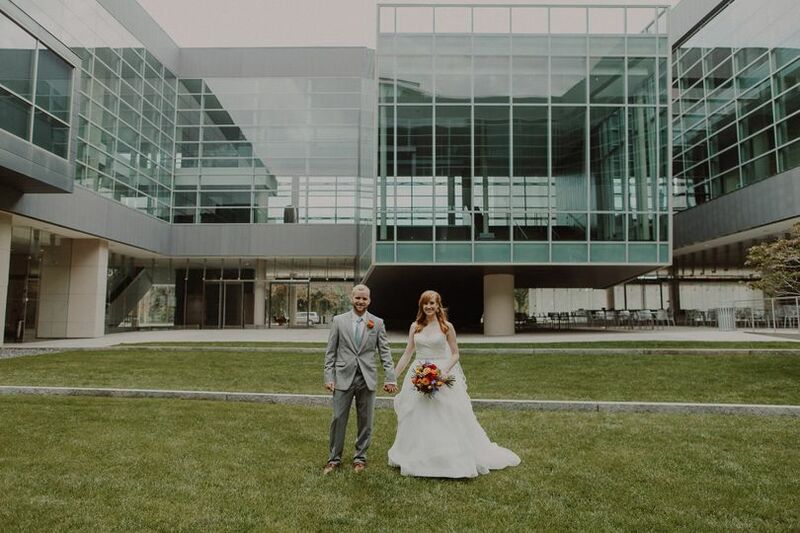 This is one of the most beautiful places to get married in Omaha! The building is so versatile and gorgeous from corner to corner. Their staff is incredible and I could not have had a better experience each and every time I am there! Caitlin and Amber make such a great team and were incredibly wonderful to work with! Cailin and Chuck did a wonderful job with our wedding. They made everything so easy and Cailin went above and beyond in helping to eleviate the stress of a wedding. We also requested Karavai bread for our reception and Chuck and his team were more than up for the challenge. Our guests raved about the taste and quality of the bread. The venue is beautiful in itself and the staff is superb!! We are so grateful to have had the pleasure of working with this venue for our wedding. The Holland made the wedding reception of our dreams a reality! 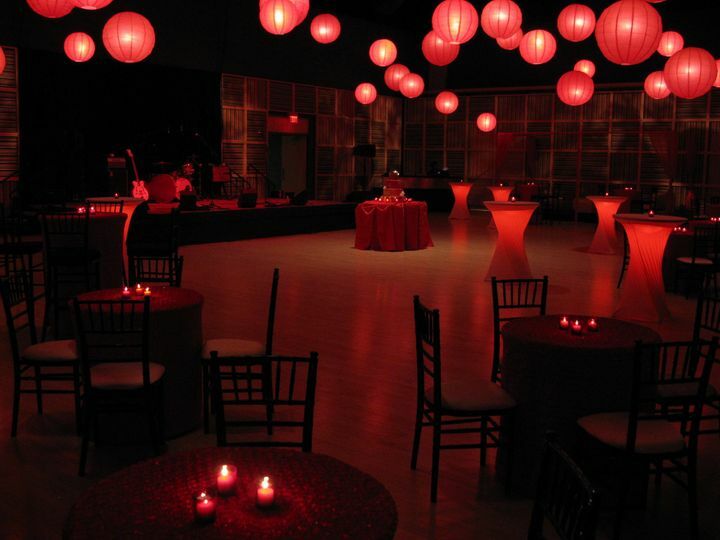 When searching for a venue, we desired a location that reflected our tastes and values as a couple. In addition, we wished to partner with individuals who were passionate about their work and could help us implement our vision for the big day. We found all of this and more at the Holland. The space itself is beautiful, the architecture modern and the design contemporary. The professionalism and abilities of the staff exceeded our wildest expectations. Everyone we worked with was amazing, this is especially true of the event coordinator we worked with. Leading up to the wedding she helped us get in touch with vendors and was quick to return emails and phone calls with questions we had leading up to the wedding day. She assisted with coordinating the entire evening, making the experience stress free and truly enjoyable! Thank you both so much for choosing the Holland for your reception! It was wonderful to work with you and I wish you both all the best!